Professional Home Remodeling is a surefire way to improve the look and function of your Plymouth, MN home. There are endless ways that a Licensed Remodeling Contractor can enhance a home’s style and value while creating a space that fits your family perfectly. Bannochie Builders, Inc. has been a Trusted Residential Remodeling Contractor for 20 years. Gary and his team can work wonders on projects of any size and budget. We have satisfied clients all over the Twin Cities Metro area. Contact us for a Free Estimate on Kitchens, Bathrooms, Room Additions, Basement Finishing and much, much more. 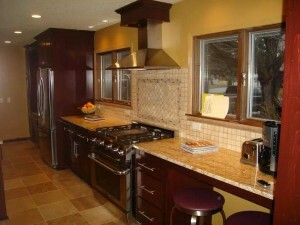 Bannochie Builders, Inc. handles remodeling projects ranging from small to extravagant, beautifully. Our team works very efficiently and treats each project and client with the utmost respect. We believe in doing the job Right The First Time – Every Time. All precautions are taken to preserve value and safety while staying on time and on budget. Do you love your current Plymouth, MN neighborhood but are not as enthusiastic with your home? If so, Bannochie Builders, Inc. can help you with design and renovation ideas that can transform your cramped or outdated home into your pride and joy. Our services include Kitchen Remodeling, Basement Finishing, Room Additions, Bathroom Renovations and 2nd Floor Additions. Each Remodeling Project is designed to fit the needs of our clients perfectly. As Licensed Remodeling Contractors, Bannochie Builders, Inc. can remove walls for an Open Concept layout or even create an entire second floor addition. We strive to match the existing home’s architectural elements for a Seamless Addition. Customize your home with Your Own Personal Style by choosing design elements, materials and colors that reflect who you are. We will listen to your hopes for the newly remodeled space and suggest ways to Maximize the Space and Budget. Clever Storage and Layout add to the Comfort and Functionality of a home. Update Flooring, Cabinets, Fixtures, Countertops, Windows and more to transform your current Plymouth, MN home into your Dream Home. Bannochie Builders, Inc. has been a Trusted Remodeling Contractor since 1995. Over the years our team has helped countless Minnesota residents to add Function, Comfort, Style and Value to their homes. If your Plymouth, MN home is lacking in some way, don’t hesitate to call Bannochie Builders, Inc. for an Affordable Home Transformation that exceeds your expectations. This entry was posted	on Wednesday, April 8th, 2015 at 2:30 pm	and is filed under Home Remodeling Contractor Plymouth MN. You can follow any responses to this entry through the RSS 2.0 feed. You can leave a response, or trackback from your own site.